Today we are really excited! 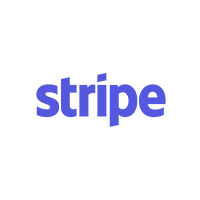 We are announcing that Blendo is one of the first to join Stripe Partner Program. Most people today don’t know that only three percent of GDP is online. That’s why we’re excited to join the Stripe Partner Program to increase internet commerce and help companies start, run, and scale their businesses by making billing and payments data analytics easily accessible to anyone. Blendo as a Self-Serve ELT platform strives to deliver value across an organization and enables companies to take ownership of the insights that live in their cloud tools and puts them in the hands of their executive peers. Blendo, combined with Stripe’s seamless payments platform, helps merchants automatically export their payment and financial data to any data warehouse with one click in analytics ready form. Thus, partially technical analysts are enabled to work with data directly keeping resources aligned at a corporate level. Additionally, our no-configuration/fully maintained pipelines allow for scalability as you grow, agility when making storage decisions, and velocity to business insights. We believe that removing barriers to online commerce and providing a competitive advantage with easy analytics and data we help more new businesses get started and level the playing field. 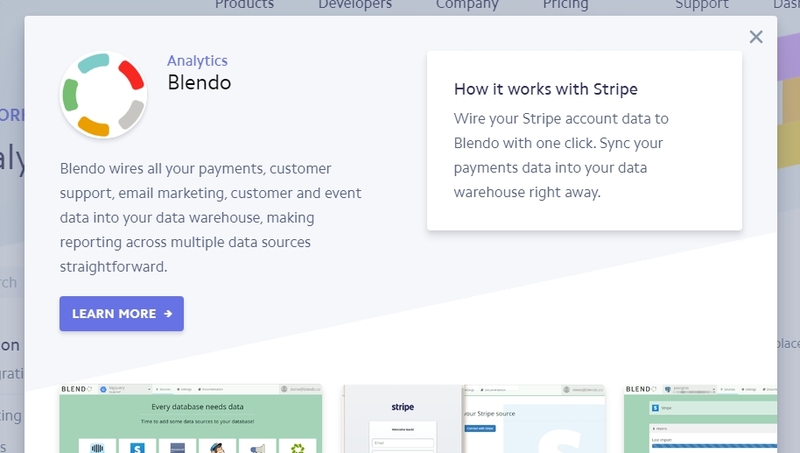 With the one-click data source integrations of Blendo’s service, Stripe customers now have even more of their data in one place to analyze, detect trends or run their BI dashboards. 1. Integrate with Stripe in almost 1 minute. All the necessary work in the data model is done for you. Now that you got all your data in one place, it is easy to analyze and run your company payments KPIs. Stripe Verified Partners undertake a rigorous security and verification process so that users can be confident in the quality of the partner’s integration with Stripe. Get more value from your payments and billing data from Stripe. Create an account in Blendo and try for 14 days – free.